Discussion in 'GMC Jam' started by Ragarnak, Nov 24, 2017. 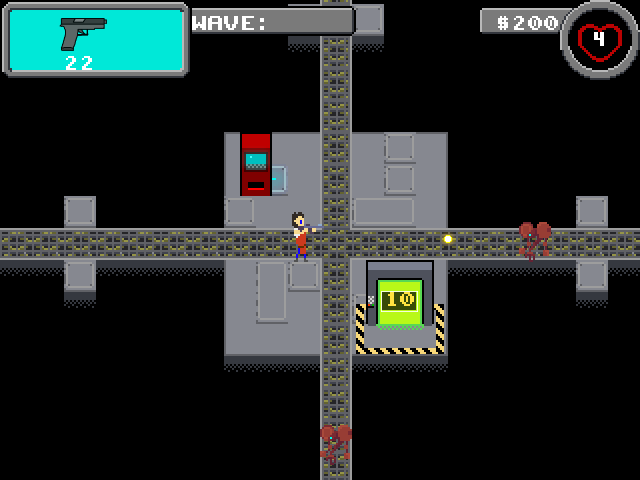 More like a proof of concept than a real, full game, which I suppose is pretty good considering this is my first Jam. Ragarnak, Bingdom and Micah_DS like this. The controls are in the README. Unfortunately, some things came up during the 72 hours, so we were not all able to allocate the time we had planned to invest, but did manage to get the first stage together for the most part. 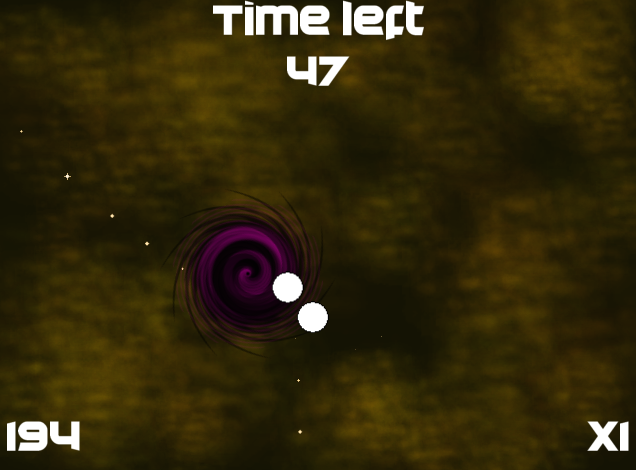 We wanted to balance it better, represent things on the hud more clearly, add music, 4 more stages, a final boss and get all the animations working, but we just didn't have the time. Ragarnak and Micah_DS like this. 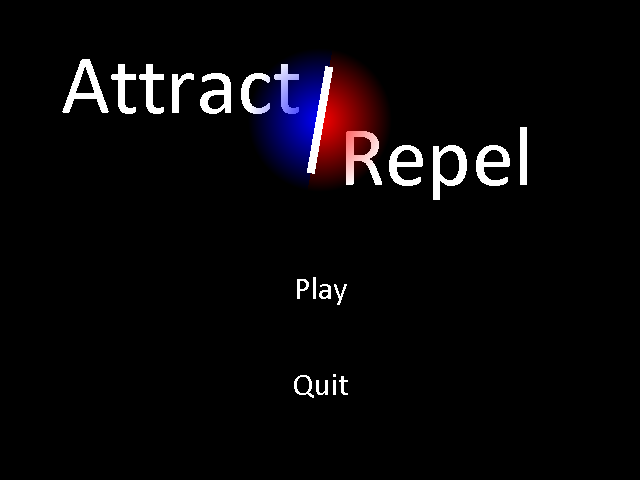 Attract / Repel is a puzzle game that I made in about 8 hours overnight because I just really didn't want to miss out on the festivities. CamperLv, Ragarnak and Micah_DS like this. You are a member of an elite force of metro police tasked with clearing the streets from bandits and restoring peace to the city. KrotoR, Ragarnak and Micah_DS like this. Ragarnak, Kepons and Micah_DS like this. as you absorb their powers and use it against them. with a slap that can absorb enemies and use their powers against one another! As she platforms and makes her way through the castle. Slept late and woke up early, probably a sign that I'll die rather young, but also a sign of a somewhat productive day. 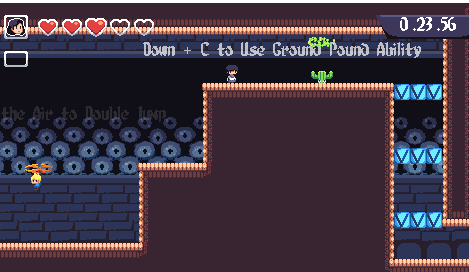 Woke up and finished the swinging and ability sprites by 8 AM, and continued to work on tilesets and enemies till roughly 12 PM, all with an unhealthy dosage of caffiene rushing through my blood. 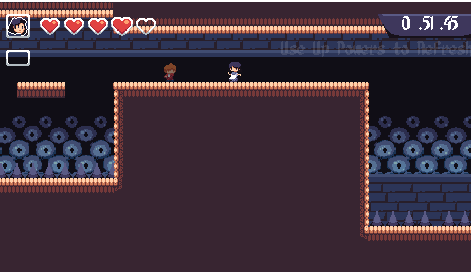 I finished spriting at about 4 PM sharp, and proceeded on actually programming the game till about 8 PM before I finally gave up out of sheer exhaustion. 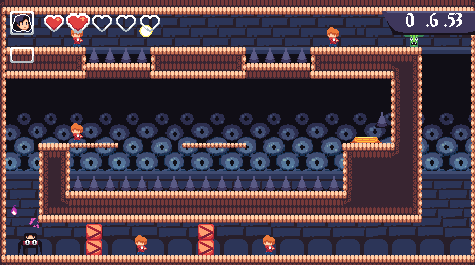 In the morning I realized I hadn't done much coding yet; all I had was the basic platformer engine, no gimmicks, and nothing built on top of the foundation. Hell, even animations and the camera weren't working properly yet. I continued working purely on programming till the afternoon, where I had to run some errands before I came back to deving later in the evening. By night fall the gimmicks were in but the game was an unpolished mess, and no levels were even designed yet. On top of that, I had 20 pages of homework stacked up in front of me. I ended up pulling an almost all nighter, with the exception of me falling asleep in a sitting position for about 40 minutes that gave me an insane sense of rejuvination. 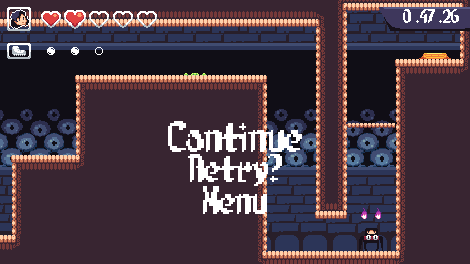 By 4 AM, I was done polishing most of the glitches, yet hadn't finished the menu, nor the save system, nor the levels. I had no time and it shows. Vyking, Ragarnak and Micah_DS like this.